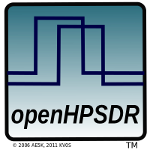 Ozy drivers are in the powerSDR or Kiss Konnsole download packages. Ozy comes with the bootloader installed and the firmware is reloaded in volatile memory each time the computer software (powerSDR, Kiss Konsole, ghpsdr, et.c) is started. The procedure in this PDF is for those that have lost or never had a bootloader on the Ozy board. The symptoms are that the Ozy board does not answer the start up commands.